Ski poles telescopic adjustable collapsible adult downhill /alpine ski poles black/blue/silver pair with baskets. 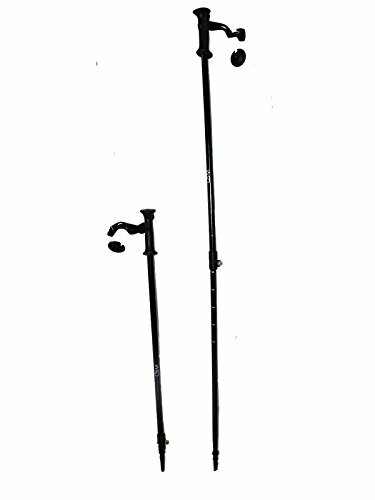 Brand new pair with baskets 2018 model telescopic adjustable ski poles adult ski poles 115cm -135cm aluminum pair with baskets new .Quick lock design is the best new system pole-locking mechanism on the market: It's secure, fast, and easy to use. Screw on baskets. Screw them all the way up as much as they can go up to make sure you don't lose them when skiing. Manufacture warranty for manufacture defect.